Board members at large: Tamara Tien (The Netherlands), Jon Landa (Spain/Italy), Dániel Waliduda (Hungary) and Christiana Daneva (Bulgaria). EGLSF welcomes Christiana to the board and thanks Armelle Mazé (former female Co-President) for her contribution and hard work in the past years. In only 31 days we will all meet again, this time in Ljubljana, where our friends from Out in Slovenija will host a general assembly for the first time, as well as Building Bridges IV Conference. 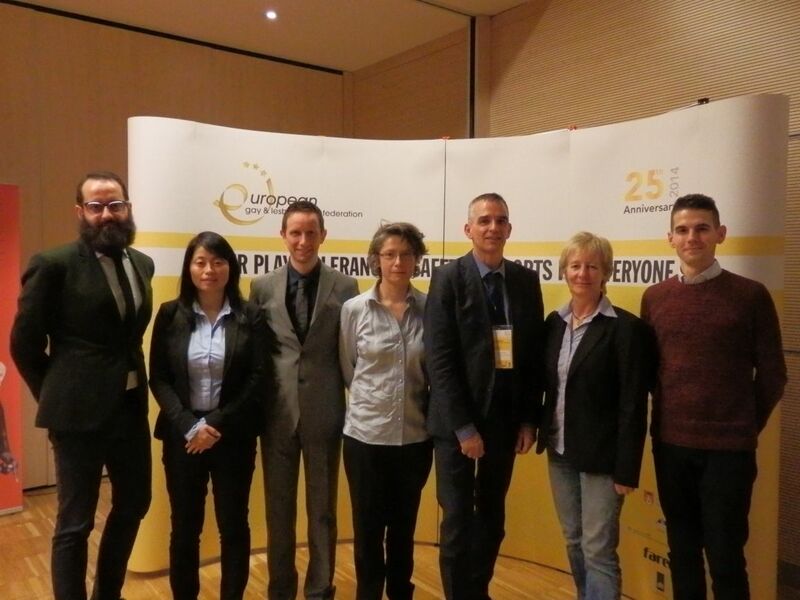 Do not forget that EGLSF celebrates in 2014 its 25th anniversary too! Register now here if you have not done it yet: on Friday we are all invited to the conference and on Saturday and Sunday our Annual General Assembly will take place. and women at every sport. This information is needed for statistical backgrounds (perhaps some people do more one sport, so it could be that the total members’ number could be lower than the total per sports). The number of members determines the fee each club has to pay as EGLSF membership fee for 2014; the table is enclosed in the membership form. Invoices are sent upon request. According to article 11.4 of EGLSF bylaws, gender equality must be assured at EGLSF Board level.